Picked up my crew at the White Caps Motel at 6:15 and headed over to Rickard's for some ice, and then across the street to get gas for the Ranger. I took my crew from Illinois over to Huron to launch, because I thought it was going to be foggy as hell again, like the day before was, and I figured it would be a shorter run to my fish. It wasn't foggy in Port Clinton, but after crossing the Sandusky bridge, headed east, it turned into pea soup fog with a visibility of only a couple hundred feet...if that. Luckily, it cleared about a mile west of Huron and I breathed a sigh of relief. As we headed out of the Huron River, I could see there wasn't any fog on the lake, and it was pretty calm, so I pointed the Ranger ENE for a 17 mile run towards Lorain. When we got there, the Ulterra was deployed and set on power level 5 to steer us, and the baby ETEC was fired up and set to push us at a speed of 2.4-2.5mph. There was a pack of boats there, so I chose the north side of them and headed north from there and away from the pack. It took a while to dial in our program with spoons, but eventually the catching picked up for us. Dipsies on the one setting were at 50 and 57 and the 3 setting at 75 and 85. The 40 Tru-Trip Jet picked up fish at 85 back. After we had 10 fish, I wanted to move, because I didn't see the marks that I wanted to see there, so we moved south about 5 miles and set up again on better marks. They started reeling in fish on a much faster basis and it wasn't long before they had the limits in the cooler. Nick, "Pops", and John were happy to learn how to run the dipsies, because they are bass fishermen who have set up their boat to do some walleye trolling, but needed to learn the basics....which they did. By mid morning they were running all the rods and doing a fine job, so I have no doubt that they will be catching walleye the next couple of days on their own too. It was a fun and memorable day, and I look forward to fishing with them again soon! 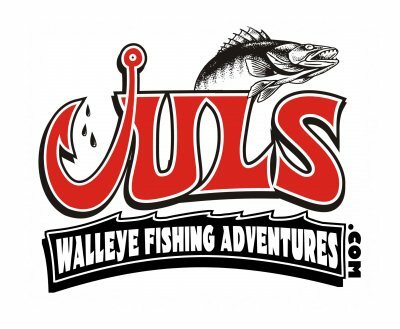 I'm out Sunday with a family for more walleye....looks like it's going to be another nice day...although, muggy, hot, with another east wind...should be a good day!